Jumping pad for round trampoline of 3.66 m in diameter. 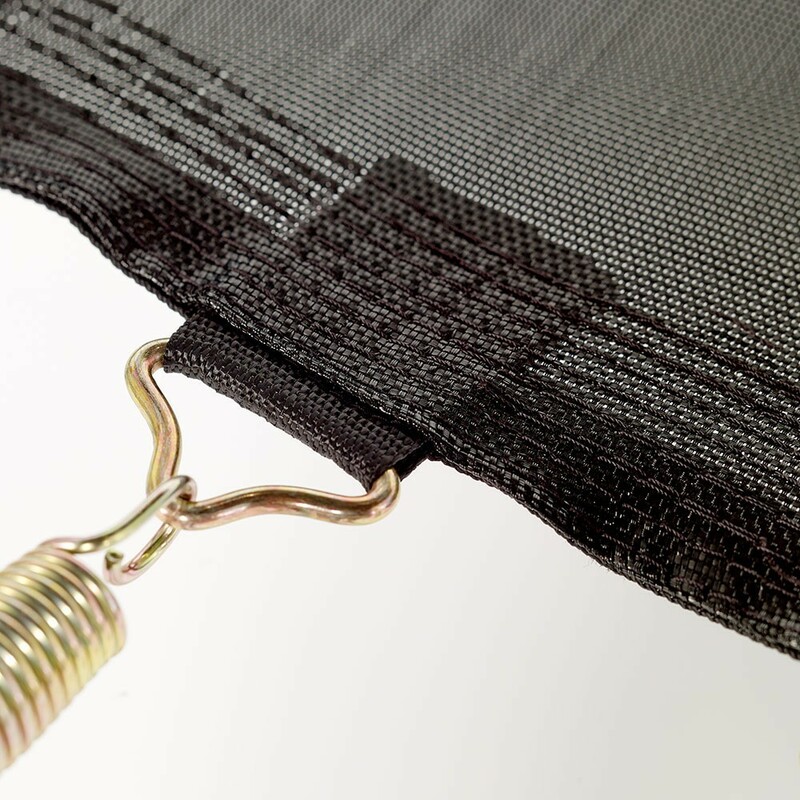 This brand new jumping mat is adapted to round trampolines of 3.66 m in diameter with 72 springs of 180 mm in length. 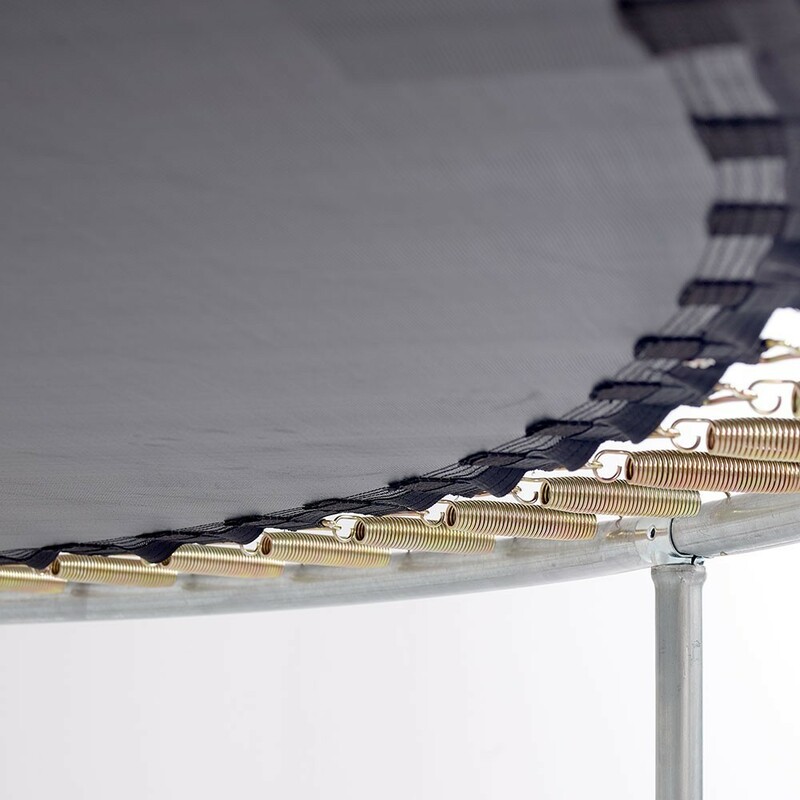 Its solidity will ensure high-level performances identical to the jumping mats on our original trampolines. 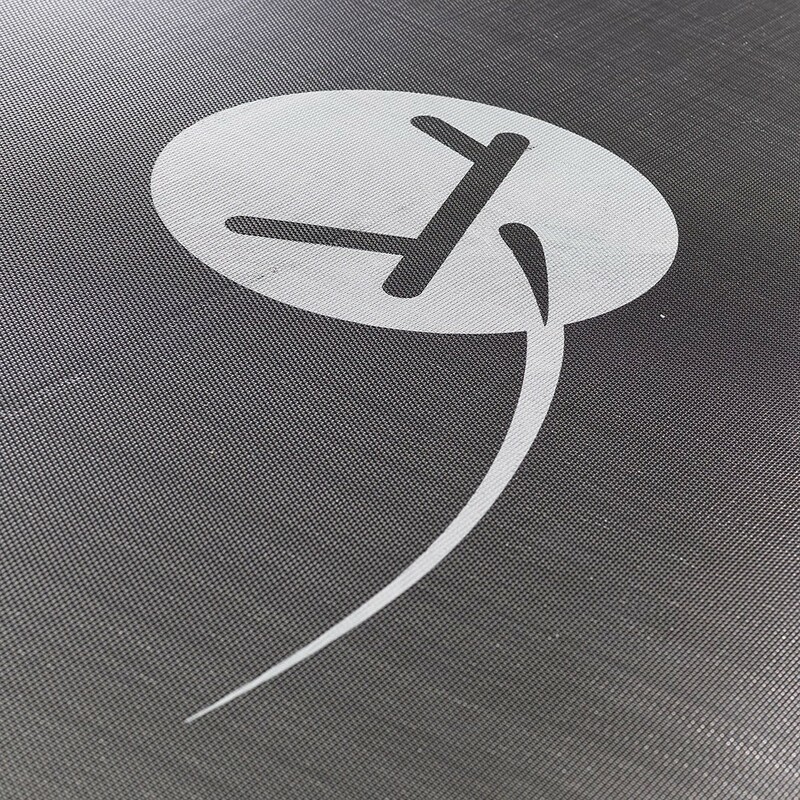 These mats can also be used on trampolines that have not been bought at France Trampoline with the same characteristics. 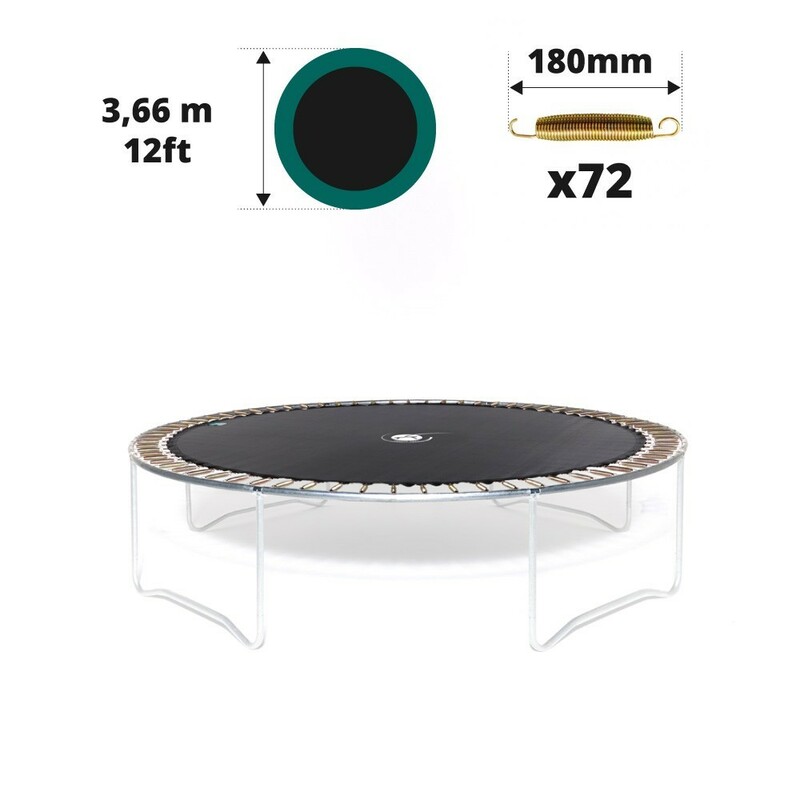 - This jumping pad is adapted to the Jump’Up 360 but also any other round trampoline of 3.66 m in diameter with 72 springs of 180 mm in length, even if it was bought elsewhere then at France Trampoline. To measure your trampoline precisely, ask a second person to help you measure the exterior diameter of the steel framework. - In order to ensure optimal strength, this jumping pad has been designed using a technical polypropylene mesh fabric. It has also been UV protected, which safeguards it from sunlight and increases its durability. - All of our products are assembled using 8 rows of stitching, contrary to other jumping pads on the market, as well as a strengthening strip, which ensures excellent solidity. The steel rings which hold the springs in place have been hot-dip galvanised to ensure they are rust-proof. 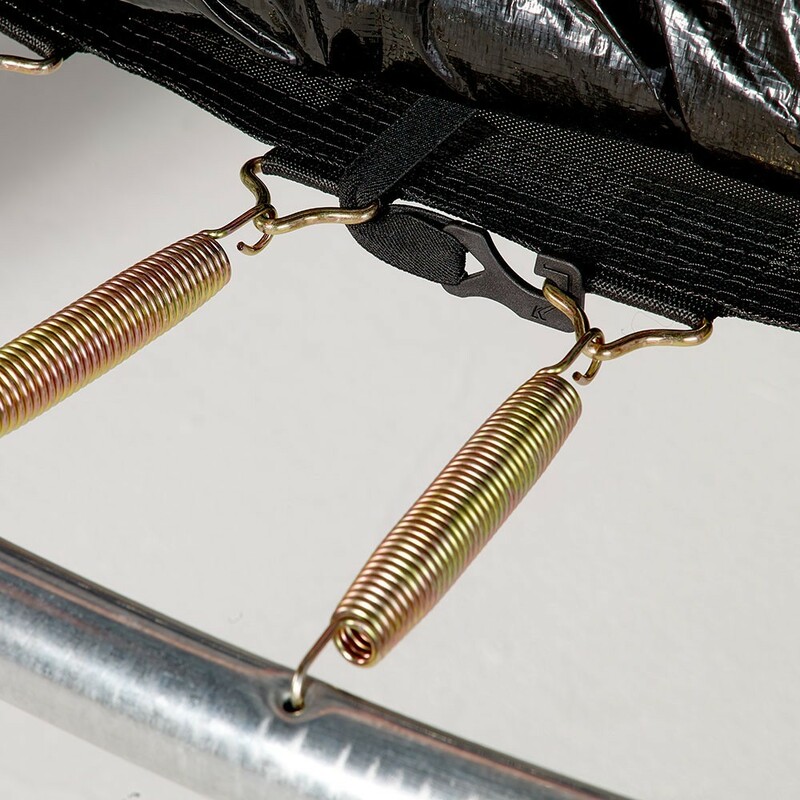 - This spare jumping pad is only adapted to trampolines with 72 springs of 180 mm in length. You should remove a spring and measure it from hook to hook. If you measure it in situ, you will not have the correct length. super produit, en remplacement de la toile d'origine abimée par nos enfants .